Ever since I once at age 19 awakened from a dead faint with transient amnesia during a TB test at an Army basic training unit in Ft. Jackson, South Carolina, I, throughout the remainder of my life, have periodically found pleasure playing a little diversionary game that I call, “Where are you now, and how did you get here?” So earlier this week, I found myself in a company van, locked within a vast sea of immobile cars in the pouring rain at the interchange of the 101 and 405 freeways in the San Fernando Valley. It could possibly have been a marginally tolerable situation, except that one of the immobile vehicles was a huge, black, perfectly rectangular LAPD Bomb Squad unit with all lights flashing, full sirens blaring and all horns honking. “Why all the fussing?” I thought, “None of us are going anywhere no matter how much noise you make.” The second part of the game is the “How did I get here?” part. The fact that this second question is usually fairly unfathomable, from a goal-oriented perspective, can sometimes be a source of comforting amusement to me. 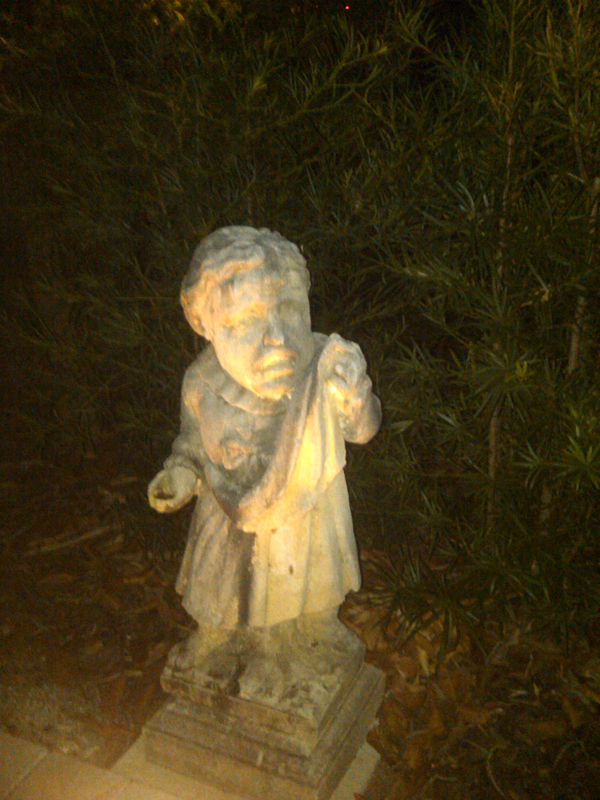 So, SK, you are taking night walks through a stone dwarf garden in FLA? A stone dwarf garden??? In FLA??? Waiting out the Iowa winter? Is that it?